Eddie Hearn says it is "now or never" for a showdown between Amir Khan and Kell Brook. 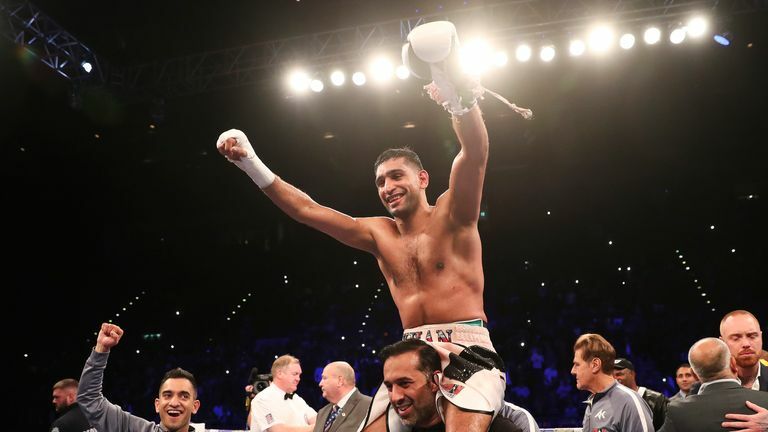 The promoter of the two former world champions and longstanding rivals was speaking after watching Khan climb off the canvas to outpoint Samuel Vargas in Birmingham on Saturday. Following victory, attention quickly turned to who 'King' Khan will face next with Brook and Manny Pacquiao the two most likely candidates. Although the Bolton star says that the Filipino great is his No 1 target, Hearn reminded Khan that if he wants to face bitter rival Brook, it has to happen next. It has to happen next or it will never happen, so it's up to these guys. "It's down to those guys, I think Khan has made it clear he wants Pacquiao or Brook," the Matchroom Boxing boss said. "That was a big fight for him [against Vargas], there is never a dull moment with Amir Khan. "It'll be two weeks off then we will sit round the table. Kell wants the fight and I know Amir will fight him. "It has to happen next or it will never happen, so it's up to these guys. Panel: Brook or Pacquiao for Khan? There's only so much we can do. We will listen to the public, we know Amir wants Pacquiao and he will fight Brook. "It's now or never for the Kell Brook fight."